Are you a Gmail user? Many lawyers are. Gmail and Google Calendar [sometimes coupled with Google Apps] is a popular alternative to Outlook. But there is a key issue with using web-based email that lawyers often overlook: messages stored online simply don’t make it to your client file. If you prefer web-based email and rebel against the idea of downloading messages to a local program on your desktop or laptop, how can you document your file? This has been a challenge. Until now. Gmail – as stand-alone web-based email – does not offer an easy way to capture a group of messages labeled or stored in a folder online. If you want to save client emails, you must do so one at a time by printing each message to PDF (or scanning each message to PDF). This is so incredibly tedious that most lawyers never do it. Messages are saved online and nowhere else, resulting in non-cohesive client records. Zapier is one way to solve this problem. It automatically files Gmail by moving messages for you. The only trick is the destination, which must be another web-based service or account. Google Drive and Dropbox are two examples of locations where mail can be saved. Here is a simple explanation of how the service works. If you are paperless and storing your client records at one of the supported online destinations, then Zapier can make your client file cohesive. Everything is in one location and your records are complete. One of the most popular approaches is to use Zapier to save client email to Dropbox. “Zapping” your Gmail to the same online location where you keep your other client records seems like a good way to go. As with any cloud-based solution, there are ethical concerns. Is Zapier secure? Zapier stores the data it is moving on your behalf for 7 days, then purges it. Your credentials are protected by bank-level encryption. HTTPS or SSL connections are used whenever possible [If the destination app you are connecting to is not HTTPS or SSL, Zapier cannot “force” that type of connection.] Users can monitor the task history of Zapier for the life of their accounts to verify activity and data transfer. Read more here. Is it a good idea to keep confidential and privileged client records in Dropbox, Google Drive, Box, or One Drive? Yes, provided you supplement the built-in protection of your online accounts with a private [client side] encryption product like Viivo. Problem solved. Won’t I just be safer if I store files on my own computer? This is another way to go, but you’ll be stuck with the one-at-a-time process of saving email as described above. Additionally, the tide of expert thought is shifting to the belief that cloud-based solutions are superior. See The great IT myth: is cloud really less secure than on-premise? If you follow this blog or read my articles in the Oregon State Bar Bulletin, you know I’m a big proponent of capturing email as part of the client file. 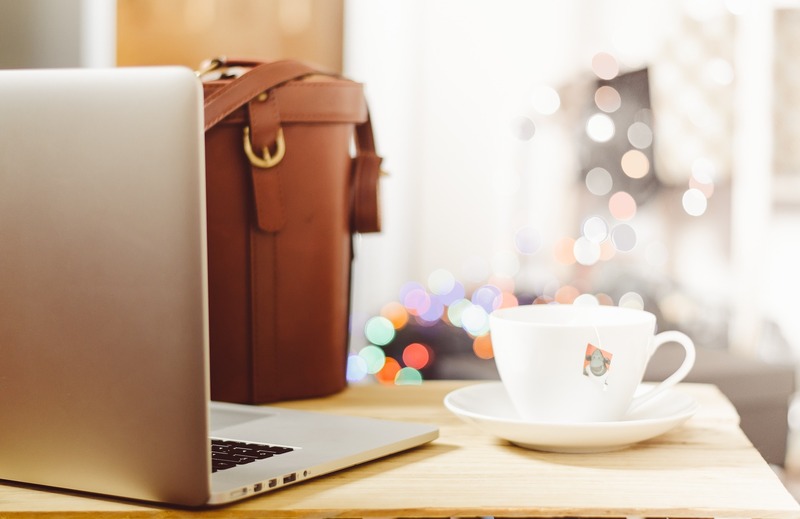 Read on if you believe, as I do, that email communications should be stored with the rest of your client documents to ensure a fully integrated, complete record of your work. Many lawyers are ardent users of Gmail. If you believe in saving email to your client file, this poses a problem. Google doesn’t provide a tool to let users save multiple messages in one step. You can print one message at a time to PDF or paper, but that’s about it. What If Zapier, Outlook, or Acrobat Aren’t For You? There are other options, but if you’re a Mac user, you’re in luck. I can show you how to save client email in 5 simple steps without buying any new software. All you need is the Mail App built into Mac OS. Select the messages you wish to save [Use Command A to select all messages in a folder]. Verify the File Type is set to “RTF” [Rich Text Format]. Verify that the box marked “Include Attachments” has a checkmark. Give the message string a name and save it to the desired location. RTF [Rich Text Format] documents can be opened in Word, WordPerfect, Open Office, or any text utility [WordPad, NotePad]. This method will save your messages in a single thread which includes attachments. The result is a searchable document that can be saved with all your other client documents. Once the RTF file is created, you can delete the messages from Gmail, freeing up space. IMHO, I would perform this maneuver as part of the file closing process. Go ahead and leave messages in Gmail while your file is open. When the work is complete, and your file is ready to close, make it part of your file closing ritual to “File, Save As” email messages to RTF. Then delete the messages from Gmail. This creates an integrated, complete client file. Personally, I file as I go – an easy thing to do if you’re using Outlook+Acrobat, but I understand why lawyers prefer to leave emails in a folder while a file is open. Many people find it easier to search email and use existing messages to send a new message. I get it. My only caution: If you do this, carefully review the original recipients of the message before you hit Reply All. Clients, in particular, may have included someone else in an original email thread. If you don’t notice this, and hit Reply All, you are sending confidential client communications to your client and someone else. The February issue of Multnomah Lawyer, the official publication of the Multnomah Bar Association, has an excellent article by Charley Gee about using Google Voice. Google Voice is a service from Google that provides a user with a telephone number, voicemail, conference calling, and text messaging service. It is accessible from any computer with access to the Internet, or from a cellphone or tablet. The best feature of Google Voice is its price: free. Using your Google account, just sign up, select the number you want from a list of available numbers, and verify and connect your cell phone to the account. Google Voice users can make and receive calls and text messages, as well as fetch their voicemail, over the internet instead of a cell tower signal. I’ve accessed my voicemail and text messages from remote locations around the state just by finding a Wi-Fi hotspot. Great tip Charley! My only caveat is to keep security risks in mind when using Wi-Fi. If you are evaluating Google Voice vs. Skype, read this post. For more thoughts on the benefits of using Google Voice in your law practice, check out what Go Matters has to say. How to Use Google Voice for Your Primary Android Phone Number and Messages or App Review: Google Voice for iPad. I blogged earlier this month about how to cope with Gmail outages. Google Voice is tied to your Gmail account. If Gmail goes down, Google Voice may also experience an outage. Without a doubt, you will lose WiFi functionality, voicemail to e-mail transcription, and perhaps other features. A cursory search did not return an answer to the question: How many times has Google Voice experienced an outage? However, searching for “Google Voice outage” returns numerous results dating back the last few years. Whether Google’s uptime stats are better or worse than the competition is hard to gauge. Finally, I can’t write a post about Google Voice without expressing how much I like Ruby Receptionists, our very own home-grown virtual reception service based in Oregon. Ruby Receptionists goes far above and beyond Google Voice, with the advantage of personalized, live reception services. Read about this awesome service for lawyers here. For another take, see this post. Many lawyers rely on Gmail and Google Calendar as part of their practice management routine. But what happens when Google experiences an outage, data corruption, or data loss? In this older post, Lifehacker offers five simple ways to backup Gmail. You’ll find some additional suggestions here. Since Hotmail is no more, swap out Outlook.com as a replacement solution. 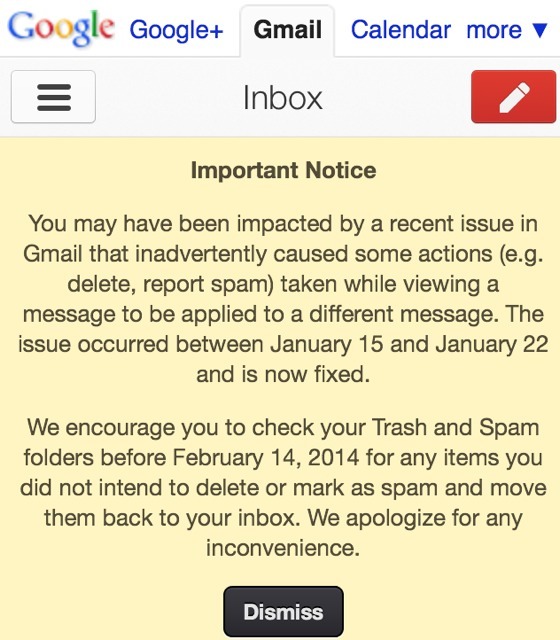 In my personal Gmail account, I didn’t experience messages being moved to Trash or Spam. Instead, old messages that were “deleted forever” reappeared in Trash. “In the past, users have reported that they are missing all of their messages as a result of unauthorized access. If your account was compromised* and you would like us to investigate whether recovery is possible, please first complete this process to secure your account and then file a report. Locate the message you’d like to move to your inbox, and check the box next to the sender’s name. *Presumably Google would also honor this process following an e-mail outage. I find it ironic that lawyers who are leery of cloud computing don’t give their Outlook.com, Gmail, or Yahoo! accounts a second thought. When you leave e-mail on a web server, your confidential client data is not entirely under your control… If your provider’s server is down, or you can’t get on the Internet, then you can’t access your client information. Additionally, reliance on cloud solutions for e-mail may raise security and privacy concerns. Macs and PCs both ship with an e-mail application. Set it up to download your web mail. Doing so is absolutely free since you are using a program preloaded on your computer. Go to your web mail’s help page and search for instructions on how to download web mail to your specific program. For Google, log in to Gmail, click on Help, and click on POP under “Other Ways to Access Gmail.” Google offers instructions for setting up Apple Mail, Outlook Express, Outlook 2002-2010, Thunderbird, Windows Mail, the iPhone and other mail programs. Google Calendar isn’t immune to problems either. When Gmail goes down, Google Calendar is likely to follow, which is what happened during the recent outage. Google Calendar can also be a source of spam or scams. Setting that aside, Google Calendar plays well with others. So set it up to sync with your phone, tablet, or built-in desktop calendaring program. If you establish a backup routine for Gmail, include Google Calendar. For example, Backupify will capture all data from Google Apps.